This week, I decided to do my writing session in a different place. I ended up in Ponsonby. 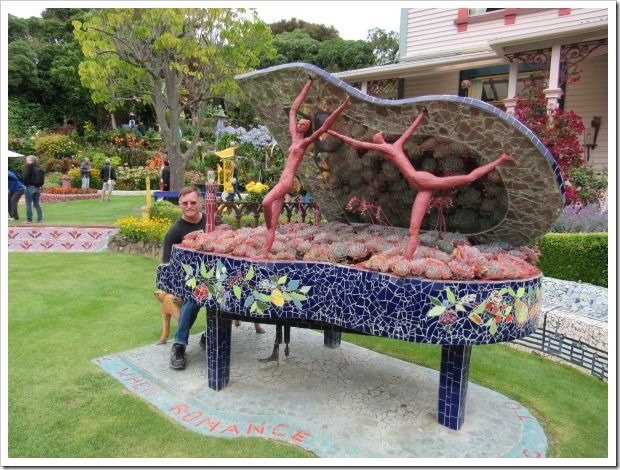 Ponsonby is an inner-city suburb, around 2 kilometers from the city center of Auckland. 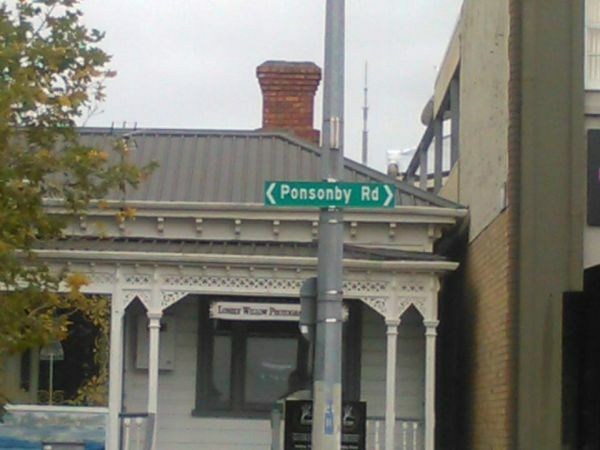 The origins of the name Ponsonby are a bit murky, and my search didn’t produce a definitive answer on how the place got its name. 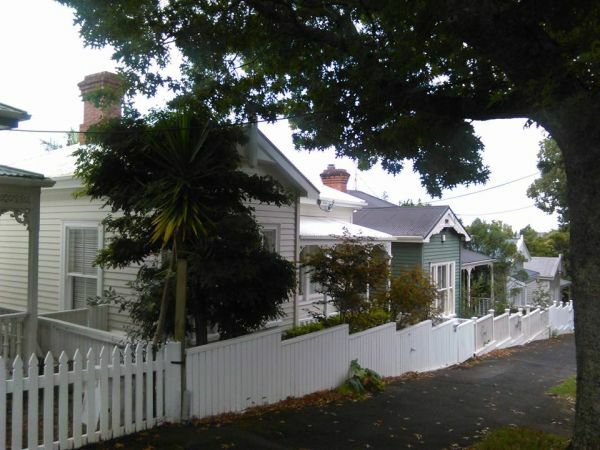 Ponsonby is one of the original suburbs of Auckland. In the 1950s and 1960s, the area was a low-cost housing area, but these days, things are very different. 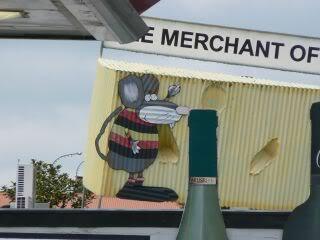 It’s a thriving suburb with expensive property and lots of cafes and restaurants. 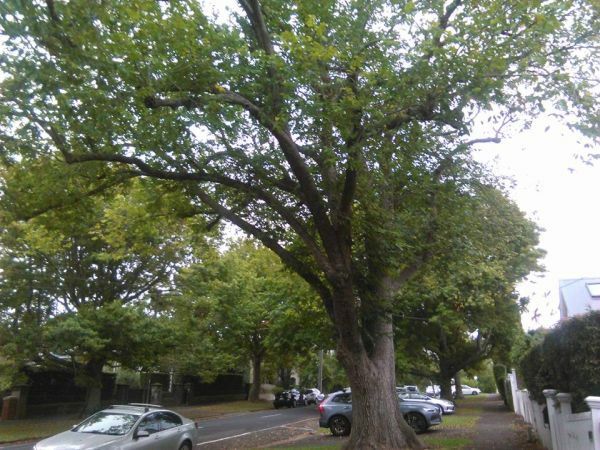 Huge mature trees grow on the grass verges, casting shade while the pedestrians get glimpses of the harbor and the Sky Tower. I particularly loved the wooden bungalows and villas that lined some of the streets—a reminder of an earlier time with their white picket fences. 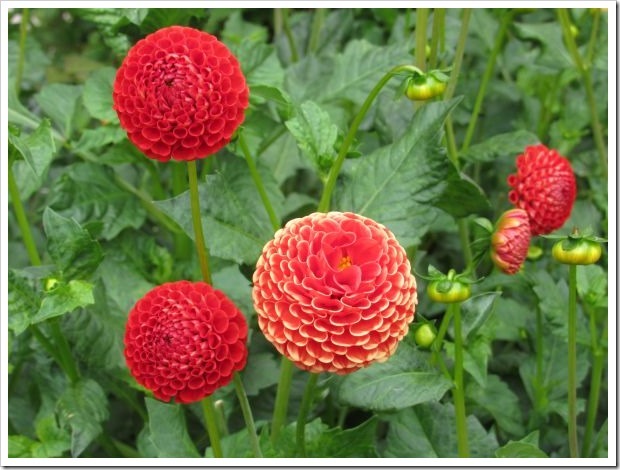 The mature trees that grow in the area are beautiful and the shade is welcome during the hot summer. 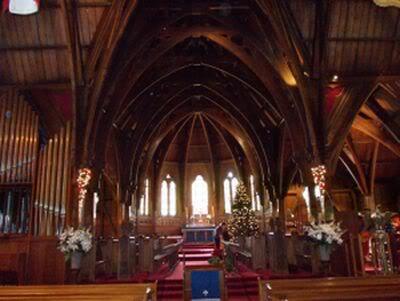 This old wooden church is a Samoan church these days. 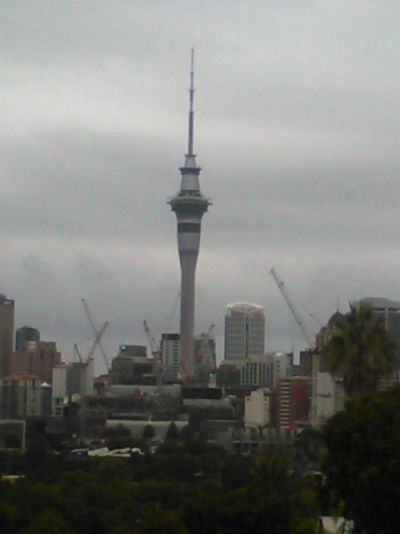 The Sky Tower is visible from many parts of Auckland. 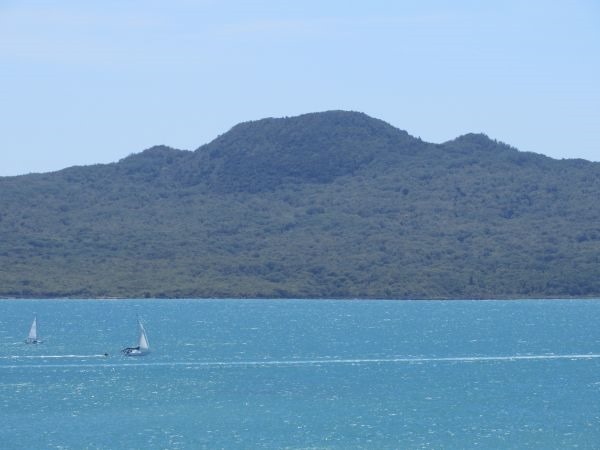 This is the view from Ponsonby. 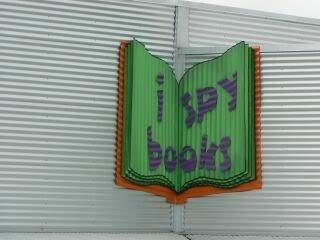 I had a fun morning exploring Ponsonby, and I managed to get lots of work done too. Win-win! 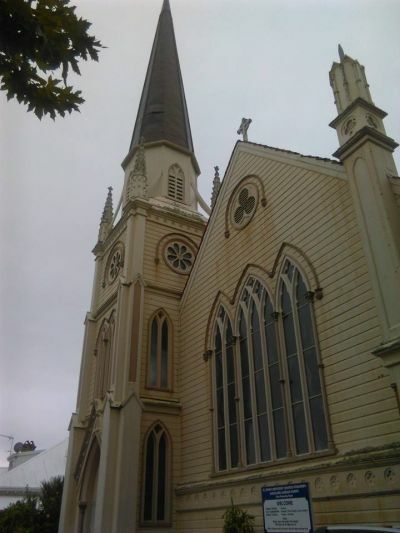 Nestled in the heart of the commercial center of Wellington, not far from New Zealand’s parliament buildings, is an old church with a lot of history. 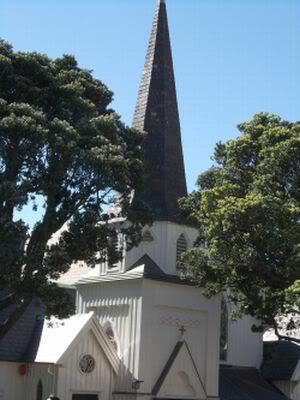 Old St Paul’s is plain from the outside, a white building and dark spire, set in a large section and surrounded by giant pohutukawa trees. I wasn’t expecting much but the interior stole my breath. 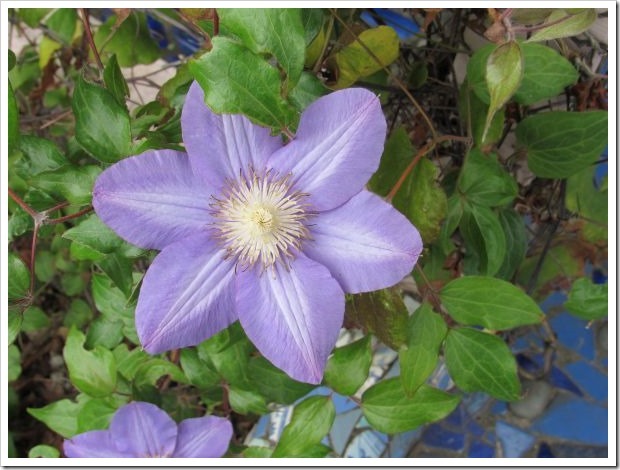 During my first visit, I stood inside the entrance, breathed in the rich, fragrant scent of the old wood from which the church is constructed, and fell in love with the place. It’s both peaceful and beautiful with the glowing colors of the aged timber. The ceiling curves above, looking like a timber rib cage and the light coming through the stained glass windows throws jewel-like patterns on the interior. Everyone speaks in hushed tones and the place feels special. Frederick Thatcher designed the church. He was also the first vicar and remained from 1861 – 1864. The style is gothic, and according to experts, it’s one of the finest examples of timber Gothic architecture in the world. 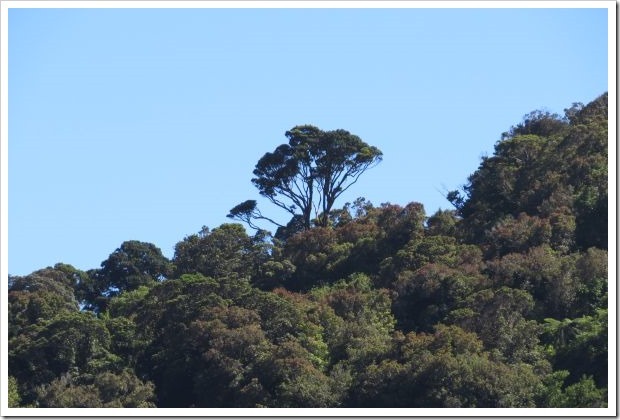 The timbers used in the construction include rimu, totara, matai and kauri, some of New Zealand’s finest native wood. 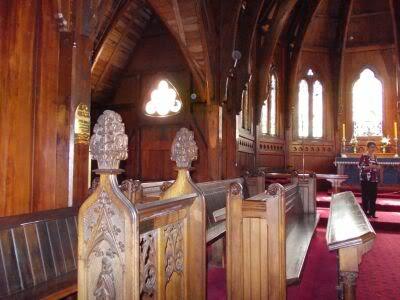 The pews are also made from timber and perfect to take a seat and soak in the atmosphere. 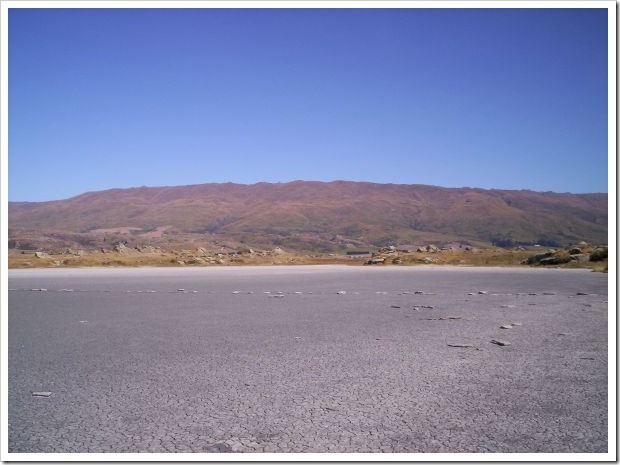 Wander around on your own or listen to one of the guides who will point out all the highlights. 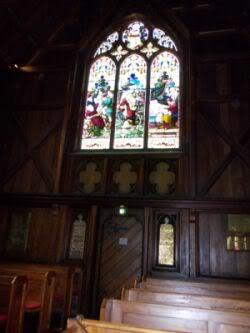 The stained glass windows are famous and were added as memorials to several prominent members of the Wellington community. Originally most of the windows were plain frosted glass. The current bells and organ are also new additions, but the baptismal font is an original, made in England from white stone with a carved oak canopy. 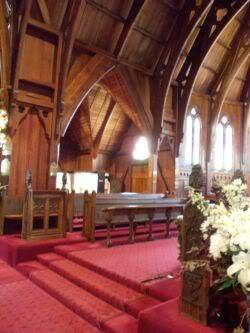 Funerals of former Prime Ministers were held here. 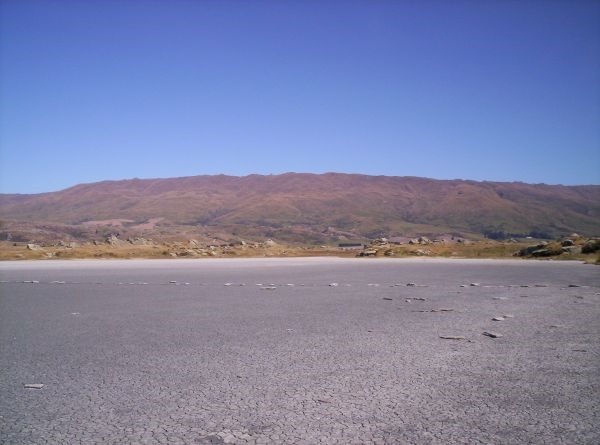 The Maori land wars, which took place during the 1860s are remembered in memorials, as is the First World war. 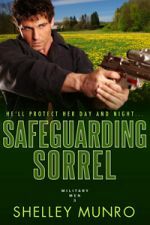 The relationship between American marines and the locals during the Second World war is also recognized. A new church, also named St. Pauls, was built in 1964 to cater to larger numbers. Thankfully, locals fought to keep the old church, because it truly is beautiful and unique now that public buildings are no longer made from timber. Old St Paul’s may not be a parish church now, but it’s still consecrated and a venue for weddings, funerals, christenings and other cultural events such as concerts. 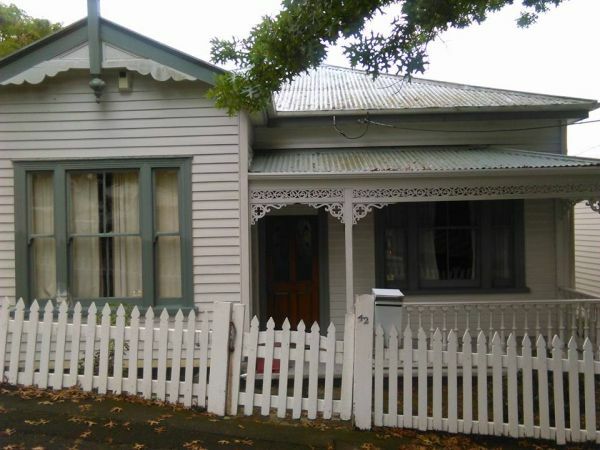 The building is maintained by the New Zealand Historic Places Trust. Daily 9.30 a.m. – 5.00 p.m.
Closed Christmas Day, Good Friday, and for short periods during private functions. Entry is free. Hourly guided tours of Old St Paul’s: $5 per person. Private group bookings (8 or more) $3 per person. School groups: tours $3 per student. Experience Old St Paul’s education programme: $8 per student. 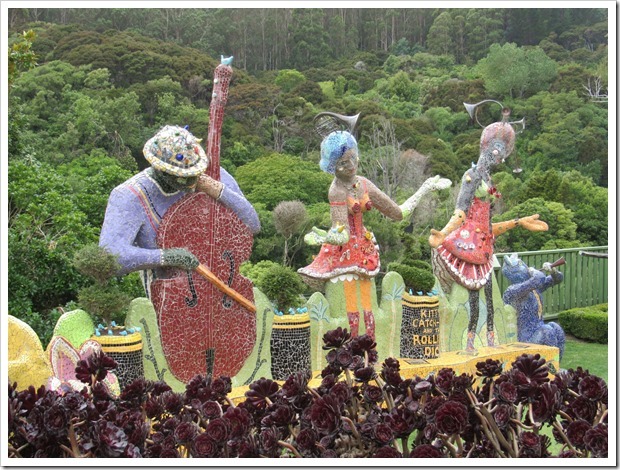 The weta – it’s a large and primitive insect, native to New Zealand. 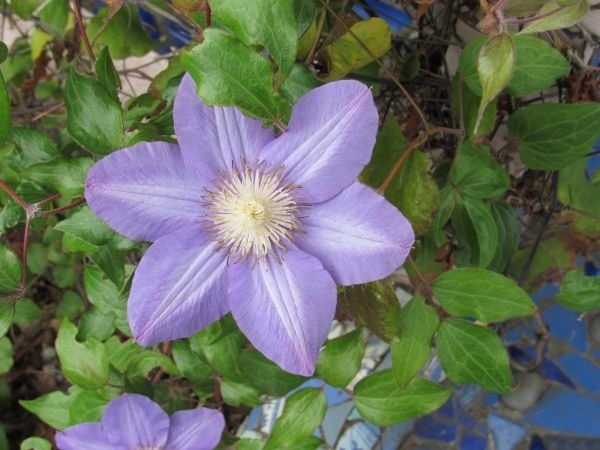 The reason I chose to write about wetas today is so more people know what they are. When I used a weta reference in my book Janaya, my editor didn’t know what I was talking about and I had to rewrite slightly to describe a weta as a prehistoric cricket-like insect. 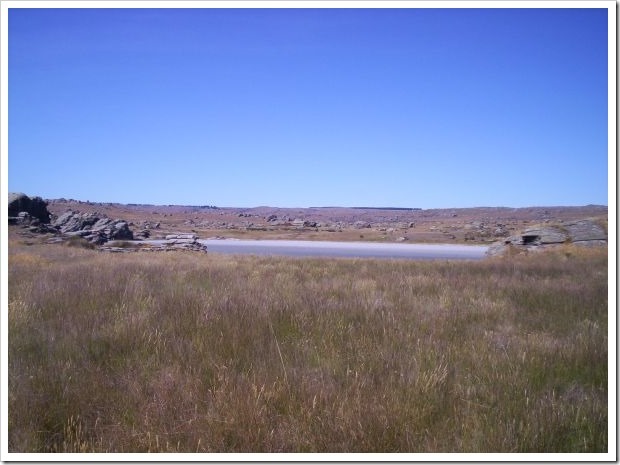 Wetas are nocturnal and live in a variety of habitats including grassland, scrub land, forests and caves. They live under stones and in rotten logs or in pre-formed burrows in trees. They are mainly herbivores in the wild but are known to eat other insects. 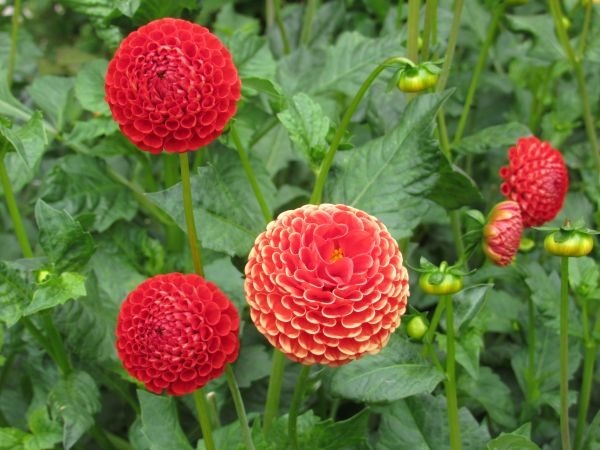 They can bite but are not poisonous. 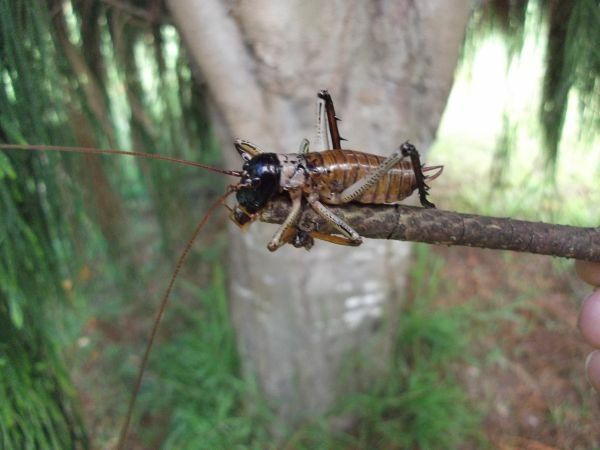 Species of weta are still being discovered and several are endangered. In the wild, they were traditionally eaten by the tuatara (a prehistoric reptile native to NZ) but these days many are destroyed by rats, cats and dogs and of course, humans encroaching on their habitat. The weta sheds its exoskeleton when moulting. 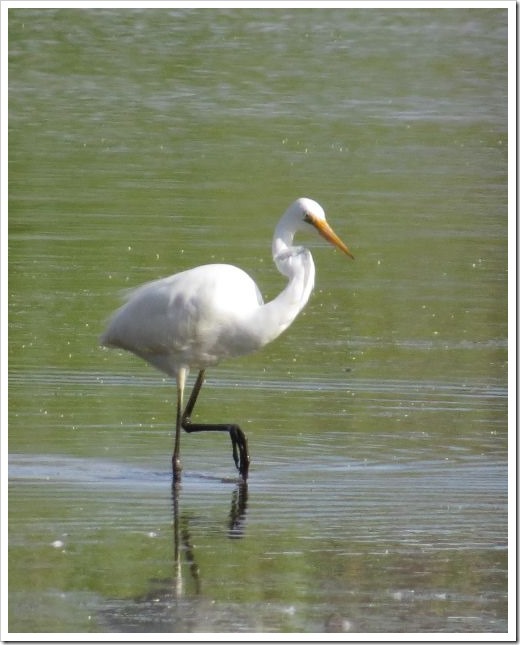 At around two years old, the female will lay 100 – 300 eggs. The parents die before the weta eggs hatch 3 – 5 months later. 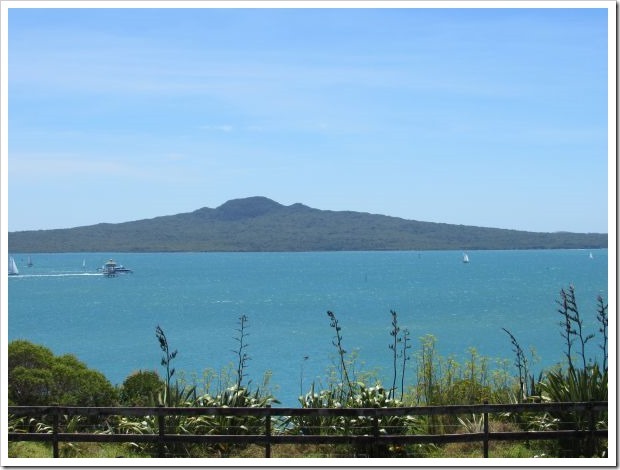 The Department of Conservation in New Zealand is currently involved in weta breeding programs and translocation to safe sites such as protected islands like Tiritiri Matangi and Little Barrier Island in the Hauraki Gulf. The weta respond well to a captive breeding program. The following video is of a giant weta. I’ve never seen a giant weta but have personal experience with both tree and cave wetas. We often find tree wetas in our garden and will return them to live in peace. They can nip and look creepy but I don’t mind them. My experience with cave wetas is a bit more spooky. 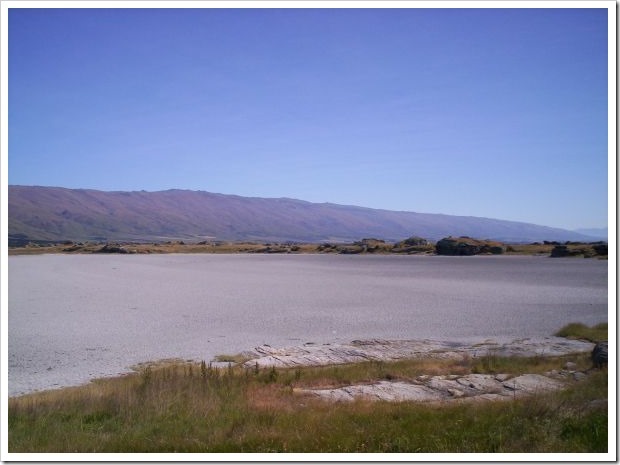 When I was a kid, my girlfriend lived on a farm with limestone caves. It was a favorite pastime to visit the caves and wander through them with a candle and maybe a torch to search for stalactites, stalagmites and glow worms. When I think about our cave visits now, I can see how dangerous it was, but for us it was an adventure – an hour or two of wandering through pristine caves. One day we discovered a new tunnel and were all set to charge into it to explore. I happened to shine the torch over the ceiling and it was covered with huge cave wetas! I let out a screech and dropped the torch, and we all decided to explore another part of the cave. 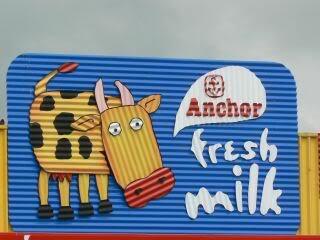 I also took to checking my gumboots carefully and shaking vigorously before I put my feet in them. This lasted for a few weeks until the initial horror passed. I’ve never been bitten by a weta, but I’m always careful not to get too close either. I can appreciate them from a distance. How are you with insects? Do you like them or hate them with a passion? Do you have any insect stories to tell? 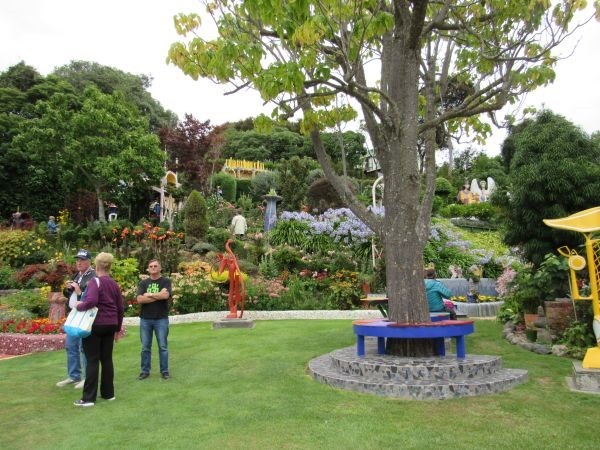 What do you think of New Zealand’s weta? 1. 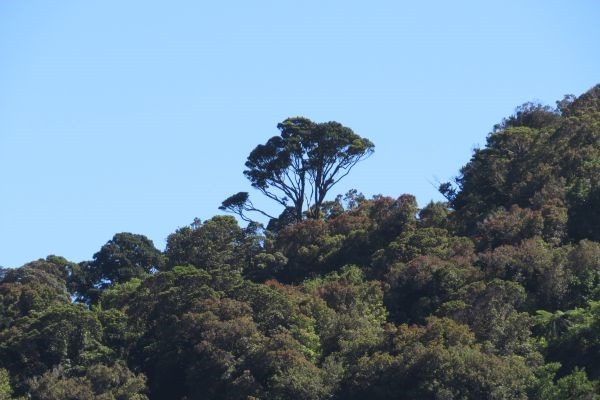 Tirau, originally referred to a hill three miles southwest of the village, is covered with cabbage trees where Maori trapped the keruru (wood pigeon). 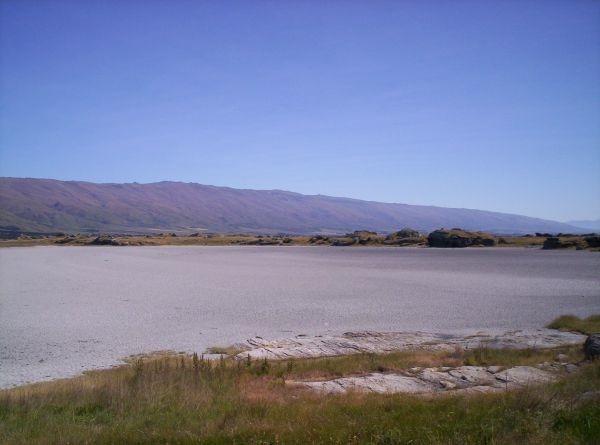 It was first settled by the Ngati Raukawa, although various tribes won the area in battle before Europeans purchased the surrounding district in 1868. 2. 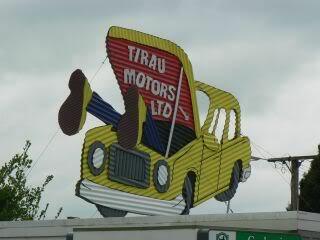 Tirau has always been a rest stop for travellers with the Oxford Royal Hotel operating as a staging post between Rotorua, Cambridge, Lichfield and later Taupo. 3. The benefits of its central location continue today. 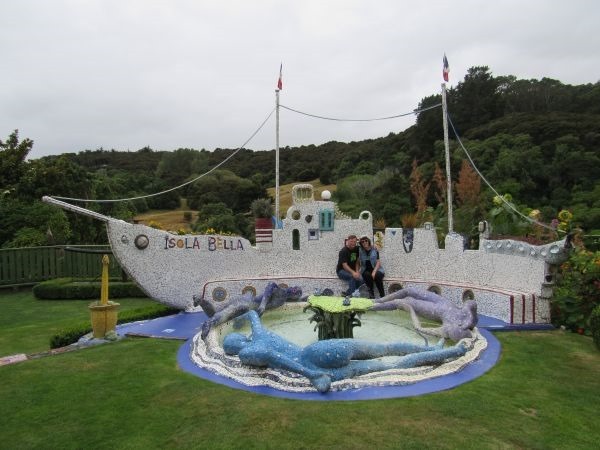 In fact Kate and Lane from PLAYING TO WIN stopped here for a break during their drive to Taupo. 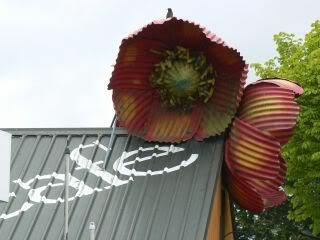 These days the town is unique for its corrugated iron sculptures. 4. 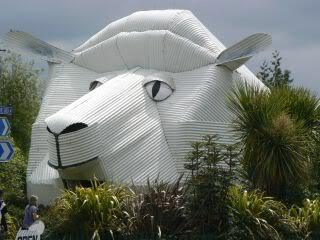 A shop disguised as a sheep. 9. 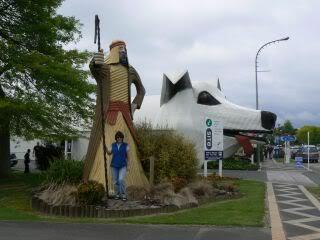 Me standing outside the tourist center. 13. 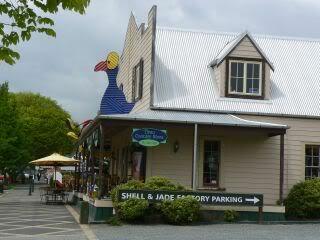 A gift shop with a pukeko (bird). 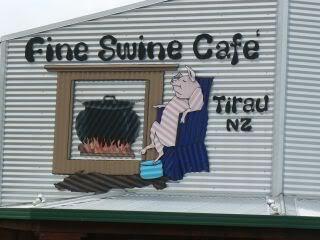 Tirau is a fun place to visit. 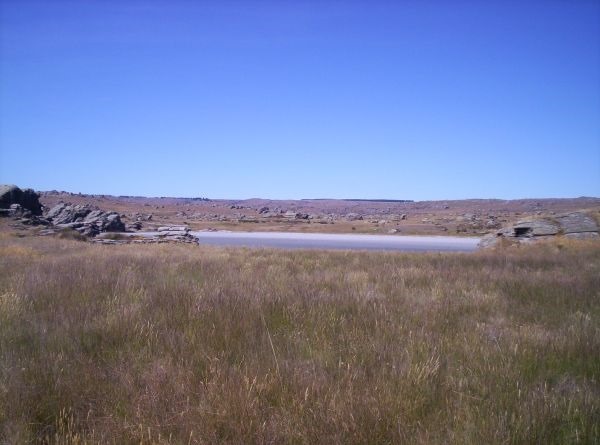 It’s great for the keen photographer and is the perfect place to take a break from driving. 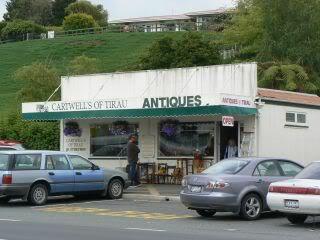 If you’re interested in antique shops, this will be your happy place. I highly recommend a visit. Some more photos from the Giant’s house, a photographers’ dream. 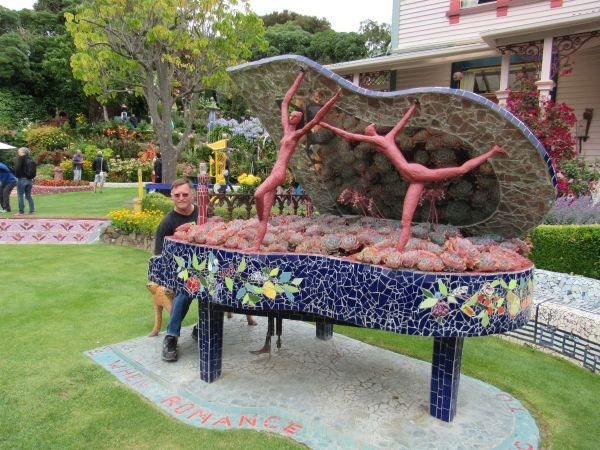 Hubby playing the piano out in the garden. It was French cafe music! 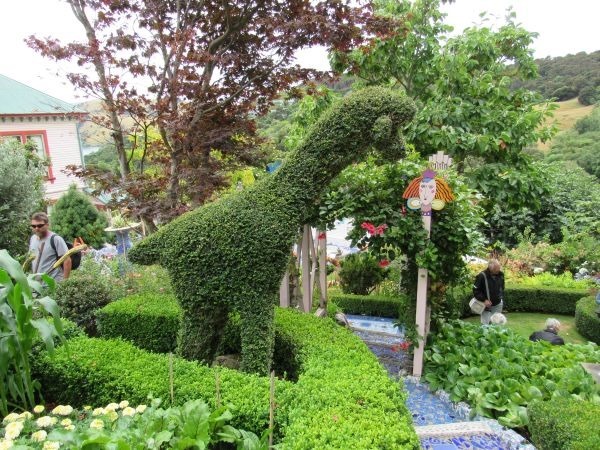 Vegetables and flowers combine with sculpture to create a fun vista. 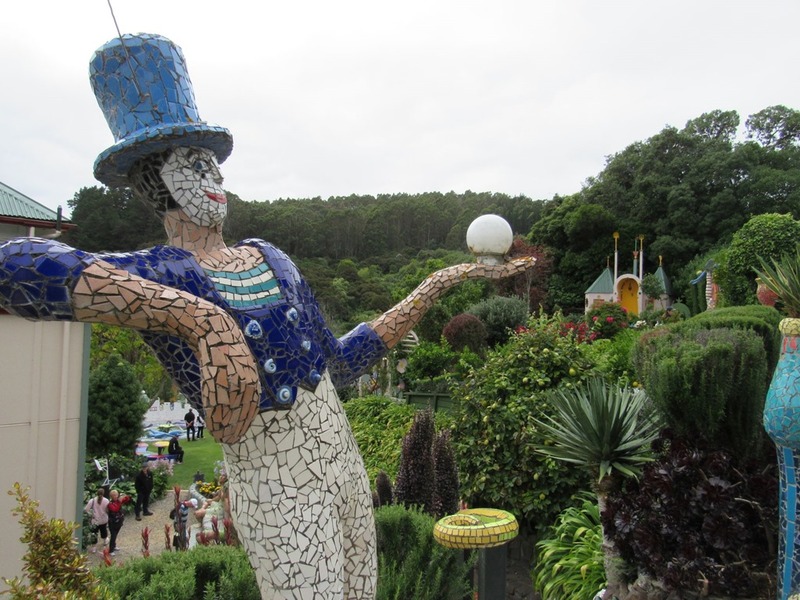 If you’re ever in this part of the world, I highly recommend a visit to the Giant’s House. 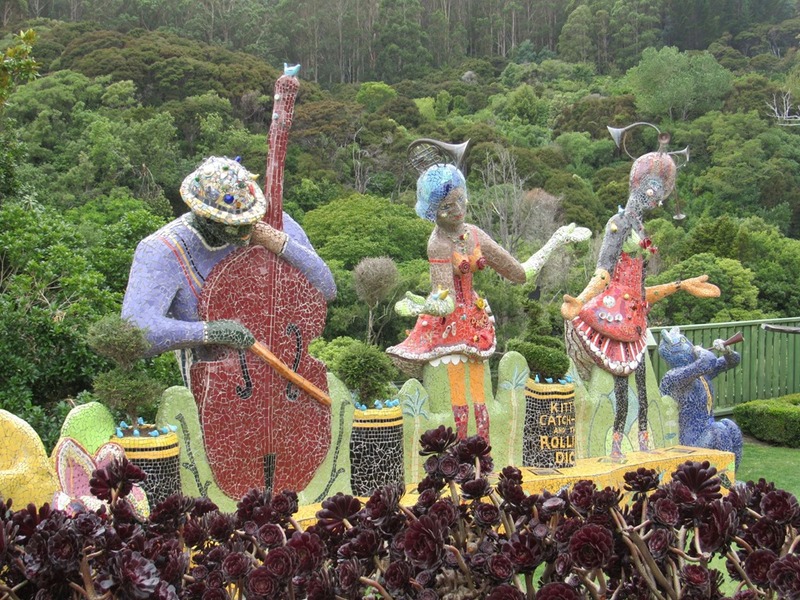 The Giant’s House was build in 1880 and is made of native totara and kauri timber. 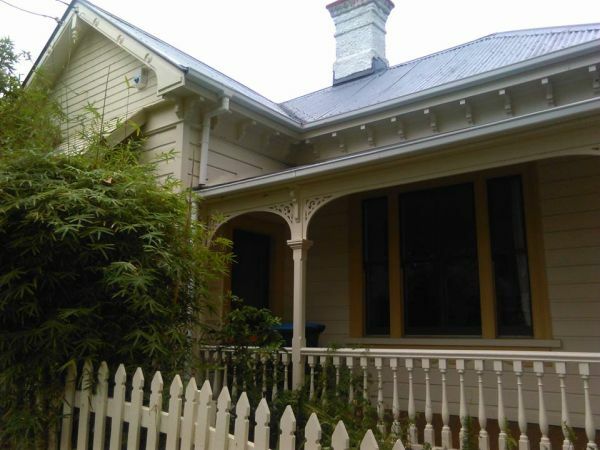 The house was originally owned by a bank manager. 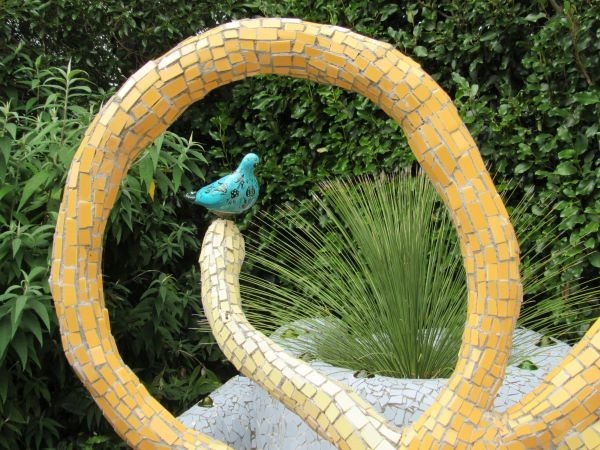 Artist and sculptor Josie Martin purchased the house and has used the gardens as her artist canvas and created a wonderland—a fun place for both children and adults to explore. It is also a bed and breakfast. 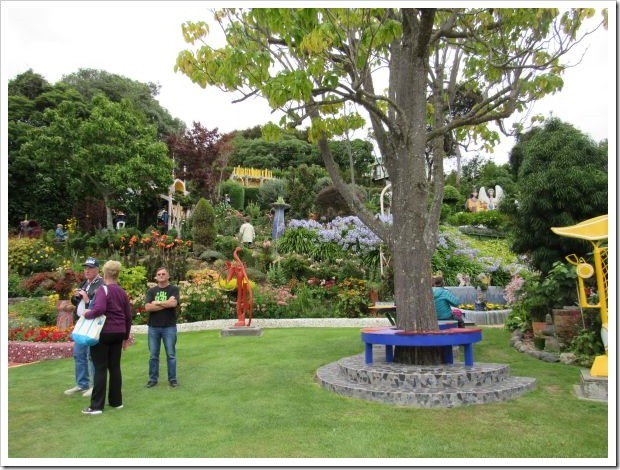 Here are a few photos of the gardens and sculptors. 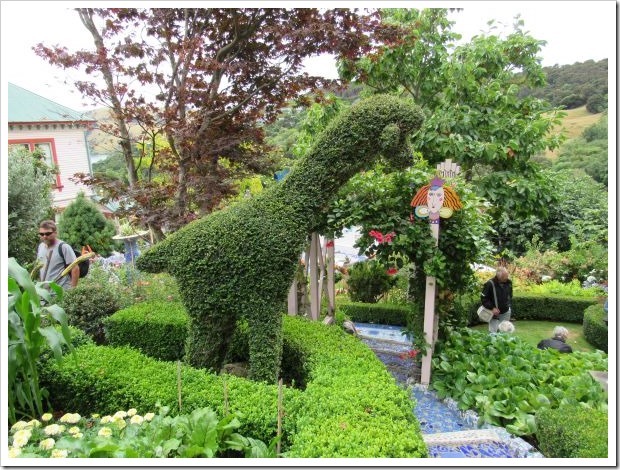 The sculptures are whimsical and colorful and highlighted by the different plantings. 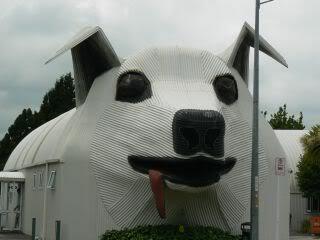 I’ll be back later in the week to post more photos of the Giant’s house. It’s a photographer’s dream! 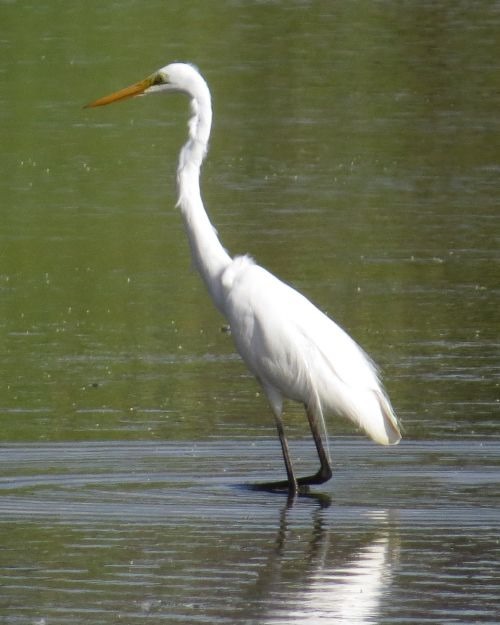 While the white heron is common in Australia and parts of Asia, we’re lucky to see them. 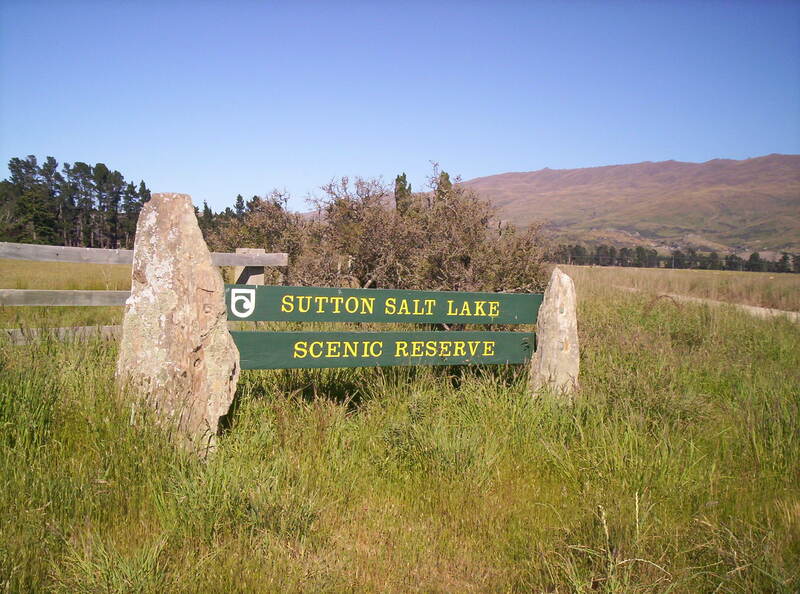 They are considered rare in New Zealand. 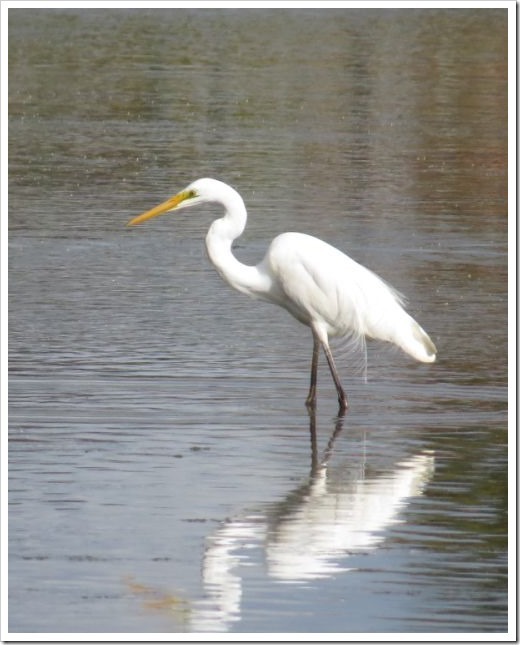 The Maori called them kotuku and their white feathers were highly sought for decoration. 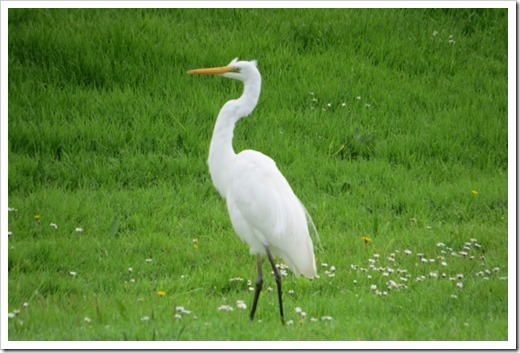 It is known as a graceful and beautiful bird and is featured on the New Zealand two-dollar coin. 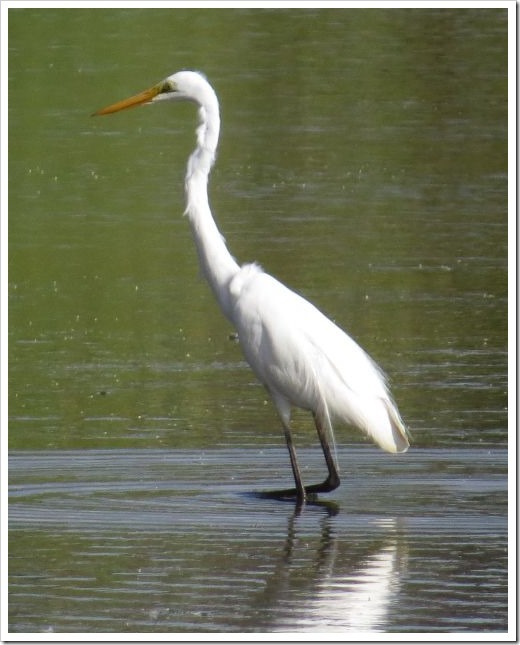 We have a resident kotuku in our area. 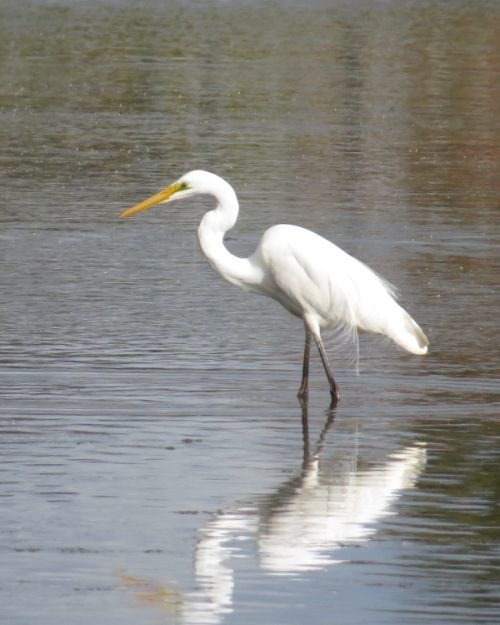 He or she hangs out at the local pond where he wades and fishes for fish and eels. 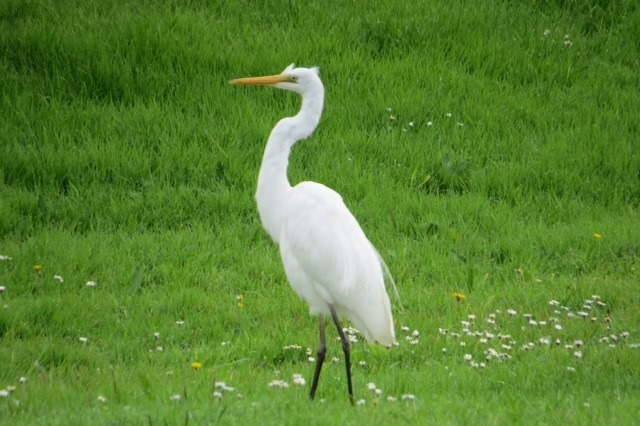 We never know when the heron will be at the pond, and it disappears for months at a time. 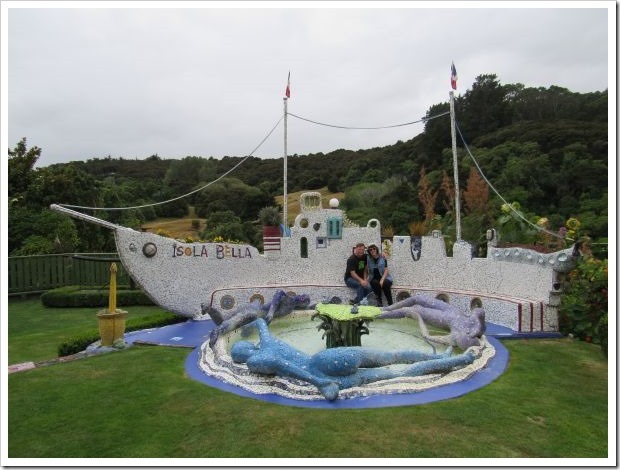 Here are a few photos taken during one of the kotuku’s visits. 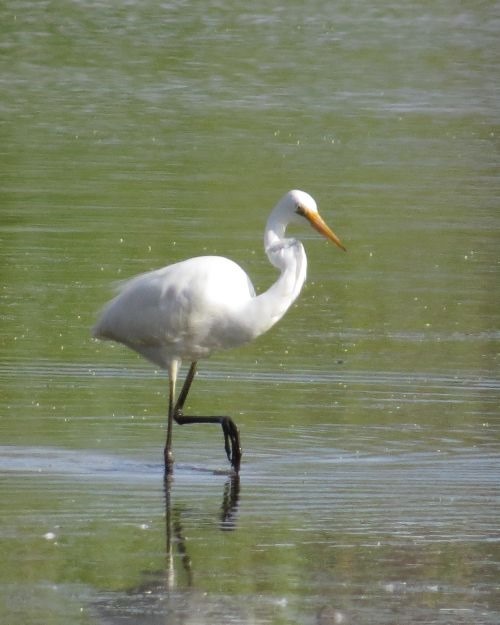 A beautiful bird. Have you seen one before? 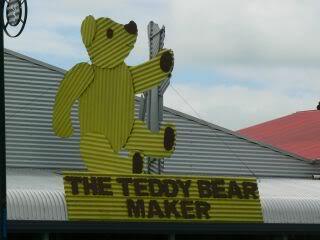 This year we’ve had lots of overseas visitors, which means we’ve been reacquainting ourselves with the sights around Auckland. 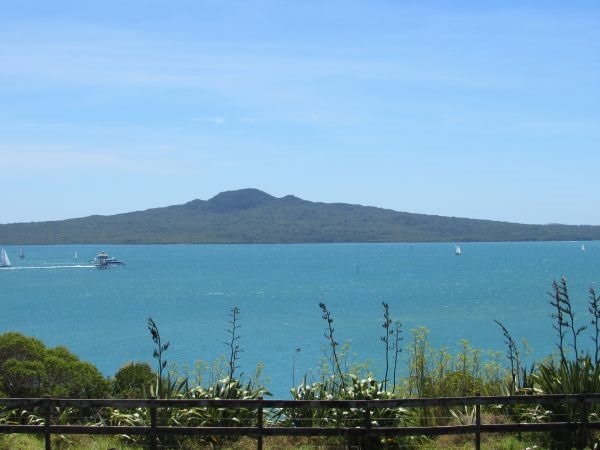 The city of Auckland is built on on a field of volcanoes, and Rangitoto Island is the youngest one – a mere 600 years-old. 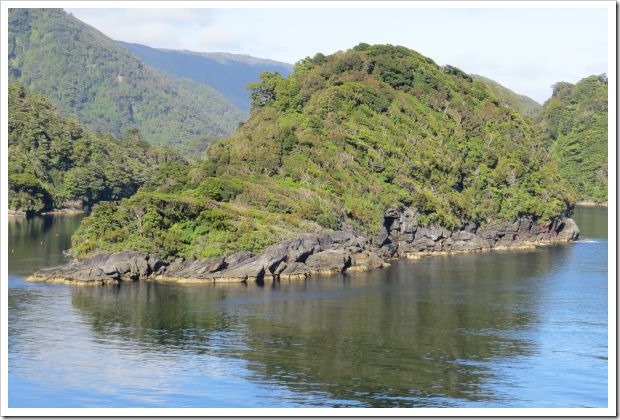 The island is pest-free (a big deal for our native bird populations) and is a short ferry ride from the central city. 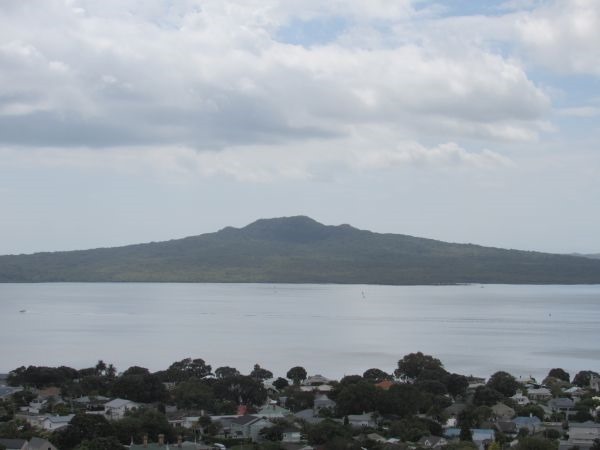 The fascinating thing is that the silhouette of Rangitoto looks the same, no matter which part of the city you’re viewing it from. These photos were taken on different days, from different parts of the city. 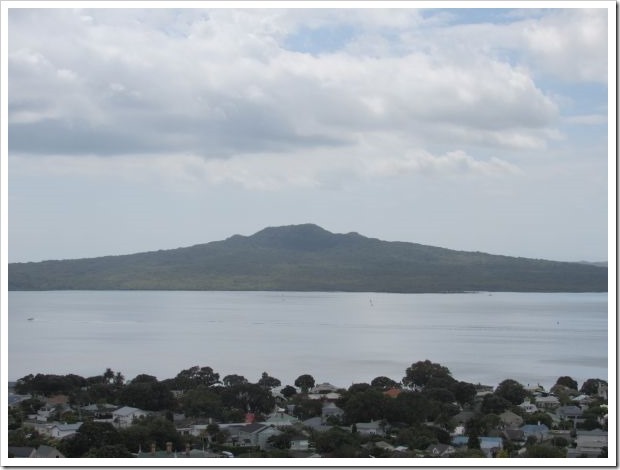 We didn’t have time to do the walk to the summit, but if you visit Auckland for a few days, I highly recommend it since the walks are easy and the view back to the city is beautiful. 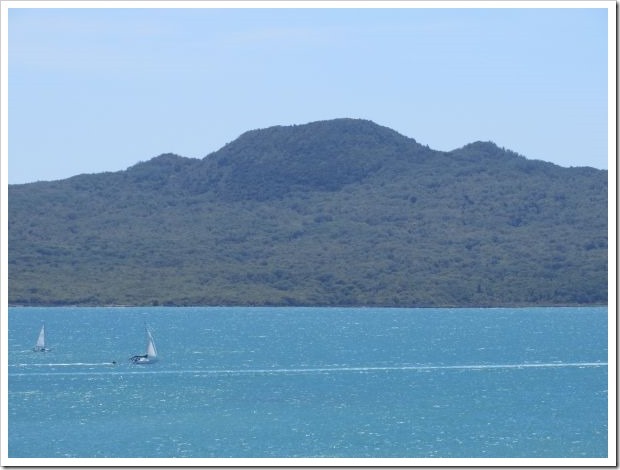 For more information on island walks and details of travel to the island check out the Rangitoto Govt site. 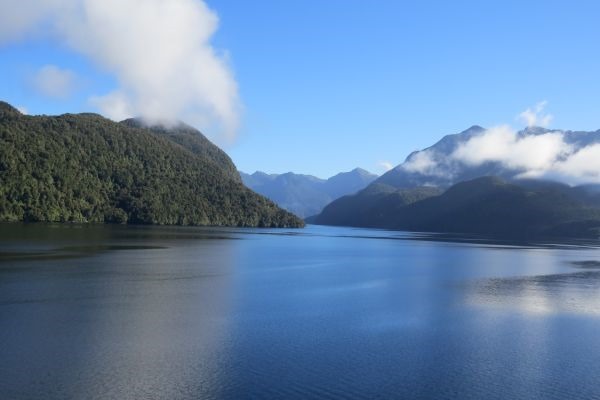 Fiordland is the largest National Park in New Zealand and at 1.2 million hectares (3.1 million acres) is also one of the largest in the world. 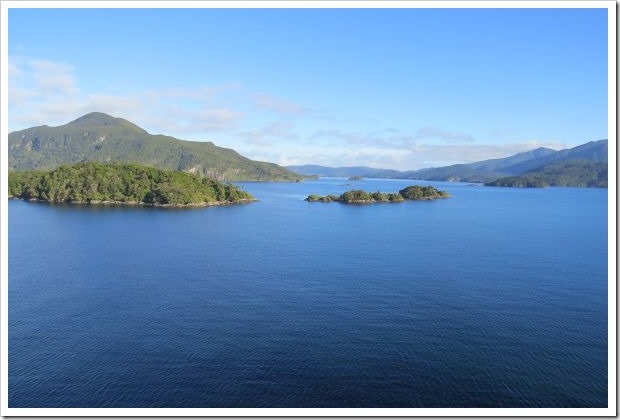 It is an area of wilderness that stretches from Martin’s Bay in the north of the South Island to Te Waewae Bay in the south, and from the lakes of Te Anau, Manapouri, Monowai and Hauroko. 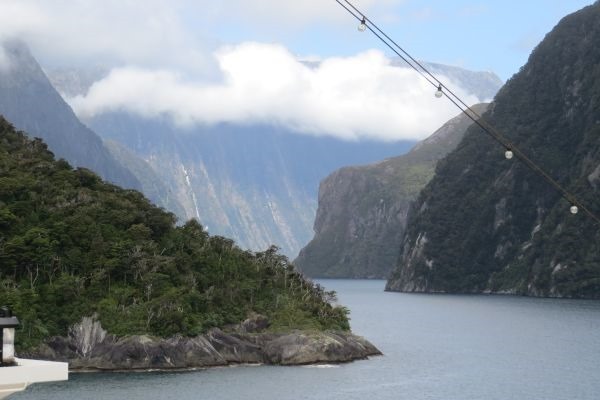 It contains 14 fiords, some of which reach up to 40 km inland. The area is known for rain. It rains over 200 days each year, which makes the waterfalls spectacular. 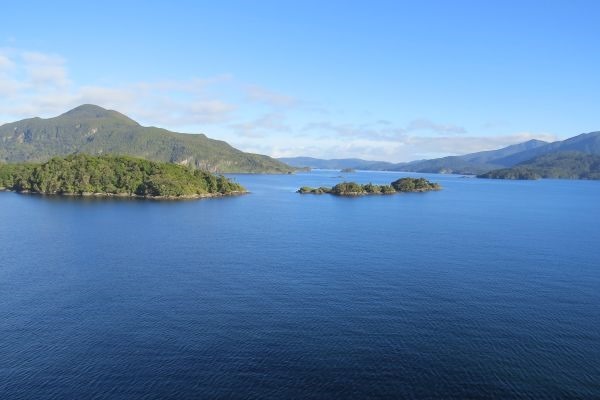 The heavy rainfall creates a permanent freshwater layer above the sea water within the fiords. The freshwater is stained by tannins that cut down the sunlight and restrict marine life to the top 40 meters of water depth. 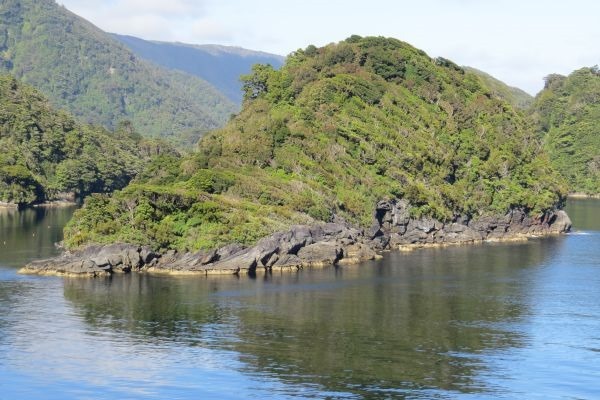 Whales and dolphins frequent the area, along with little blue penguins and fur seals. We cruised up the coast and visited Dusky Sound, Doubtful Sound and Milford Sound. 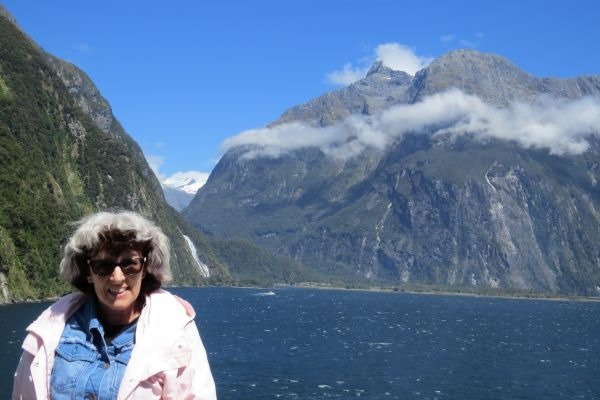 The scenery is simply stunning, and my camera got a real workout. 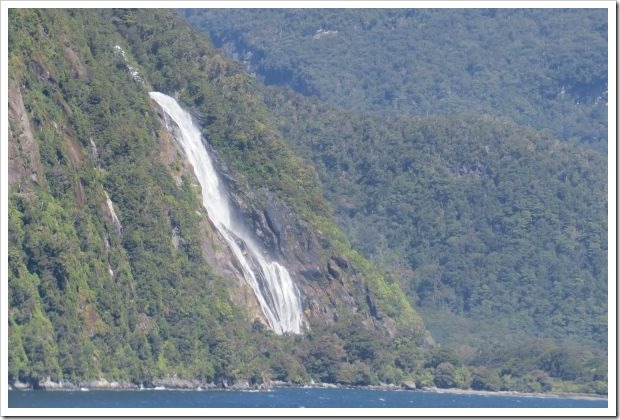 One of the many waterfalls that tumble down the steep sides of the fiords into the sea. 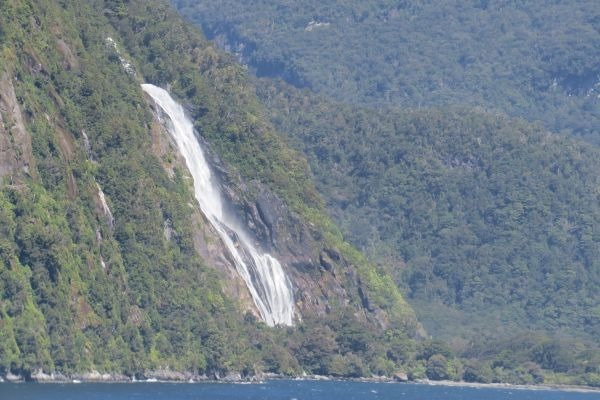 As you can see from this photo, Milford is spectacular with tree-clad cliffs and waterfalls. 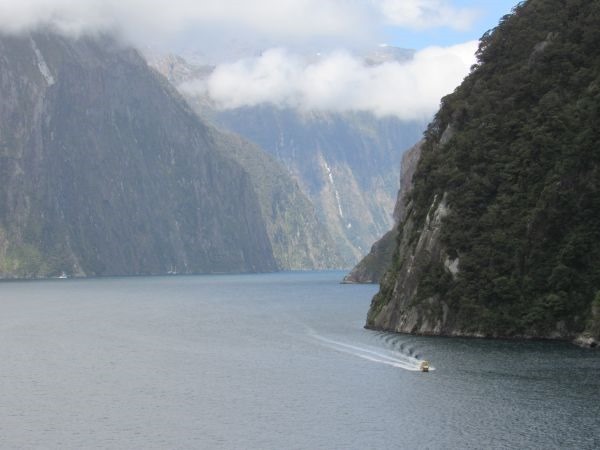 Captain Cook and many of the early explorers sailed right past Milford Sound, not realizing the existence of the fiord. 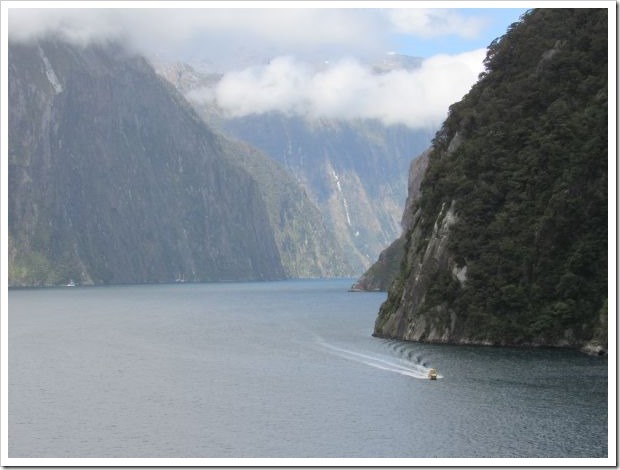 There is one road in to Milford Sound. 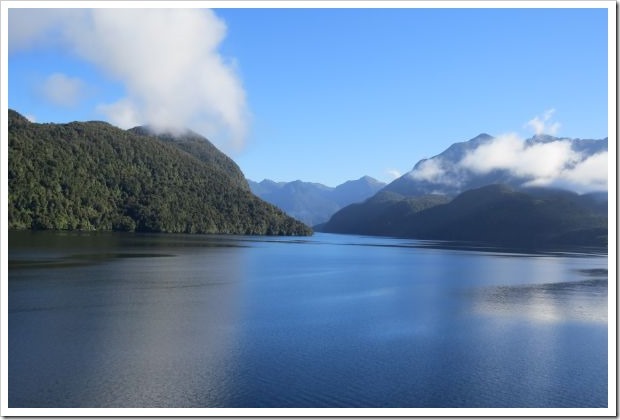 By car it takes about 2 –3 hours via Te Anau. The bus ride is about 4 – 5 hours. Access is available by plane or as we did on a cruise ship. 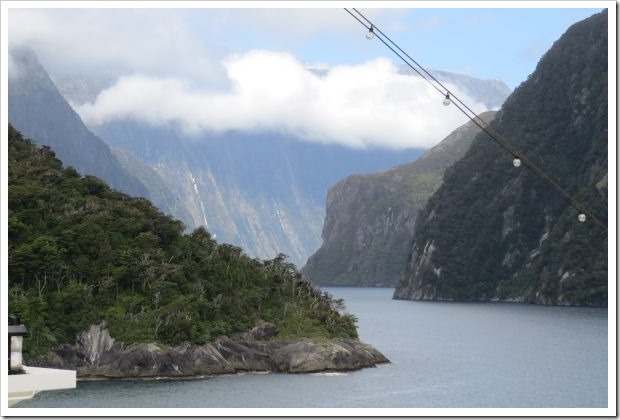 Some people walk in via the famous Milford Track, which is a four-day walk. If you’re ever in this part of the world, I highly recommend a visit.